Achieve an enviable glow that enhances your best features with the Liquid Chrome Highlighter from British cosmetics label, Barry M. Presented in a glass bottle topped with a pipette dispenser, the illuminating drops instantly brighten the skin and draw attention to your bone structure for a radiant finish. Formulated with striking light-reflecting pearls, the liquid highlighter shines a dazzling spotlight on your high points for a camera-ready look. Dot along your cheekbones and or add a few drops to your favourite liquid foundation for all-over luminosity. 1. 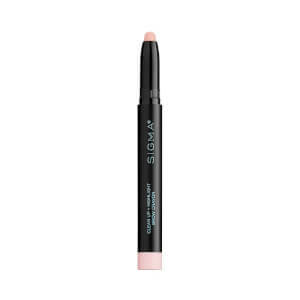 Use alone as a highlighter: Dab a small amount onto your fingertips and gently tap onto the top of your cheekbones, down the centre of your nose, under your brow-bone and over your cupid’s bow. 2. Apply under your foundation: For a natural no-makeup makeup look, apply the highlighter before your foundation. 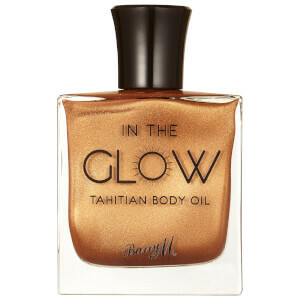 Place a couple of glow drops on your cheeks and forehead, then blend seamlessly for a luminous finish. 3. Mix with your foundation: For a subtle illumination, add a couple of glow drops to your favourite liquid foundation or primer. 4. Mix it with your moisturiser: Mix with your favourite body moisturiser to create a shimmery glow all over your body.